The Gist: What Kind of "Doctor" is Marcus Bachmann? 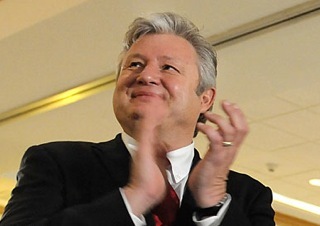 What Kind of "Doctor" is Marcus Bachmann? Over the weekend, Truth Wins Out and The Nation exposed the truth about Michele Bachmann's husband's Christian counseling service: It tries to "cure" gay people with harmful, quack-science "ex-gay" therapy. The Union Institute's Ph.D. program came under scrutiny by the Ohio Board of Regents in the late 1990s, early 2000s which culminated in its 2002 Reauthorization Report. The report was critical of the Union Institute's Ph.D. program, noting in particular that " ... expectations for student scholarship at the doctoral level were not as rigorous as is common for doctoral work ... " (OBR 2002 Reauthorization Report, page 13) As a result, The Union was put on probation, the Union Graduate School was dissolved and the Ph.D. program was restructured. The Minnesota Board of Psychology and the Board of Marriage and Family Therapy confirmed to POLITICO that Bachmann is not licensed with them. And a search of the Board of Behavioral Health and Therapy license database returns no result. Trisha Stark, of the Minnesota Psychological Association, said that the title “clinical therapist” is not widely used in professional circles and that Bachmann is able to operate his clinic because of state rules regarding mental health practice. “Minnesota is one of the only states in which you can practice mental health without a license,” Stark said. Hopefully some reporters will ask Michele Bachmann directly about these issues, though after seeing some of the softball interviews on TV I'm not holding my breath.